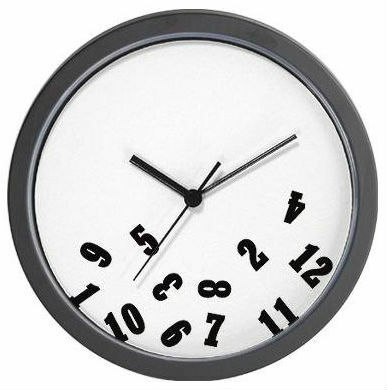 Oftentimes, we are busily planning the next great thing in our lives before appreciating what we have just done. Anticipating the future can cause undue anxiety and worry on things that may never happen. We may also perseverate on the past to the point that it cripples us. Rewinding past events, especially negative ones, can build up negativity toward ourself and others then anger and depression ensues. Meanwhile, all this focus on the past and the future prevents us from experiencing the ever present now. 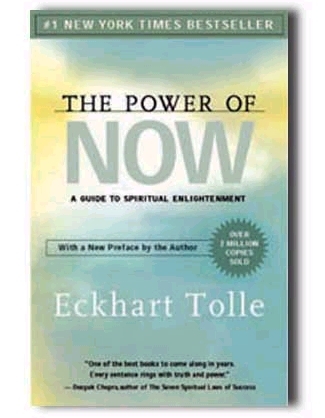 Famous spiritualist and author, Eckhart Tolle wrote about being fully present in his first book, The Power of Now. Selling over 2 million copies, Eckhart’s wisdom on embracing now gives new meaning to what it’s like to live and really, truly live. Eckhart’s philosophy on embracing now reminds us what is really important in life; that is focusing on what is right in front of us without judgment and without reaction. He reminds us that we create our own suffering by living in the past or by focusing on the future. To end the suffering, we must be fully present in the here and now. To fully experience now we must observe what is and embrace it as it is. It takes practice to be fully present and that practice can be taken in the form of meditation. There are many forms of meditation out there and they each have their own benefits depending on what you are looking for. Mindful meditation in particular is a good way to learn how to be fully present in the moment. The benefits of mindfulness has been explored in a scientific study known as the Shamatha Project, led by Dr. Clifford Saron at the UC-Davis Center for Mind & Brain. The Shamatha Project was a collaborative experiment between high-ranking neuroscientists and psychologists on the effects of intensive meditation that spanned three months. The meditation techniques used in the study encouraged the participants to breathe mindfully, focus in on their thinking, and become aware of being aware. The study determined that being mindful increased a person’s level of empathy towards others and improved the meditator’s attention span. The research also discovered that long term mindfulness improved a person’s overall psychological well-being which in turn increased their health and longevity (decreased cellular aging). The experiment had a follow up procedure on those that continued to meditate and 5 months after the study was over the effects of the intensive meditation stayed the same. Minding your own business can be a habit formed with due diligence. It’s easy to get off track and have your mind wander when working on something. The important first step to take is to be aware when your mind is wandering then stop. The more you practice that the more easily it will become to stay mindful. In the end when we clear our minds and focus on the present we start experiencing life. Gallery | This entry was posted in Be the Change Lifestyle and tagged Decrease Aging, Eckhart Tolle, meditation, Mindfullness, Shamatha Project, telomerase activity, The Power of Now. Bookmark the permalink. 4 Responses to Are You Minding Your Own Business Now? I can remember when they attempted mindful meditation groups at the institution. It was difficult to learn because one’s thoughts were generally racing with whatever “illness” or medication to “help” the illness. I am more interested in it now; however, especially since I no longer have to live in such a lock-down environment. I loved the trip/video. Had me in a trance. Thanks for posting this and following my blog! Thanks for stopping by and reading my post and liking it. I’m glad you are motivated to be more mindful. May your journey continue towards happiness and joy always. This is an awesome book. I just might need to reread it!! Yes it is a great book. Definitely on my book it list!